Madison College's Brandon Gibis makes a throw from third base during one of the team's games during the spring break trip. Madison College’s baseball team may have stumbled a little on its spring break trip to Arizona, but the squad has recovered nicely in the games since then. The WolfPack has won nine of the 10 games it has played following spring break, including six victories over conference foes. Madison College now stands at 12-8 overall as it prepares for the bulk of its home and conference season. A strong offensive punch has led the WolfPack’s recent resurgence. Madison College has out-scored its opponents 103-26 over the last 10 games, scoring more than 10 runs in four of those games. Looking ahead, the team has plenty of opportunity to show its home fans how much it has improved since the start of the season. Seven of the team’s next nine game dates, all scheduled to be doubleheaders, will be played at home. That stretch features two games against conference rival Rock Valley College on April 11. 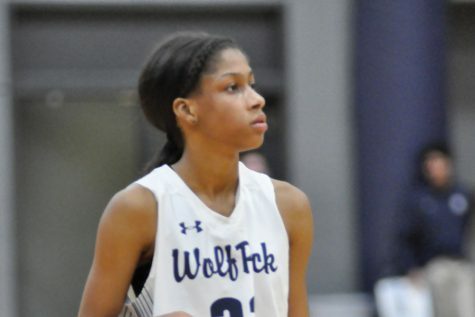 So far, the WolfPack has been unbeaten in conference play, sweeping the College of DuPage, Triton College and Harper College in doubleheaders. A 17 hit effort powered Madison College past the College of DuPage, 16-4, in the first game of a doubleheader in Glen Ellyn, Ill., on April 4. Mike Jordahl did much of the damage for the WolfPack with a home run, a double and four runs batted in. Brandon Gibis added four hits and two RBIs. Tony Butler, Sam Hurt, Trevor Tunison and Ryan Makuski also all doubled for the WolfPack. Marcellus Sneed pitched the victory, giving up just four runs on six hits. In the second game of the doubleheader with the College of DuPage, Madison College rallied with two runs in the top of the sixth inning to take a 6-5 victory. Mike Aiello hit two home runs in the game and had three runs batted in to lead the Madison College hitters. Nick Kanavas, Matt Cole and Ryan Makuski also had two hits, while Tony Butler added a triple. Pitcher Brandon Gibis earned the victory in relief, allowing just one hit in 2-1/3 innings pitched. 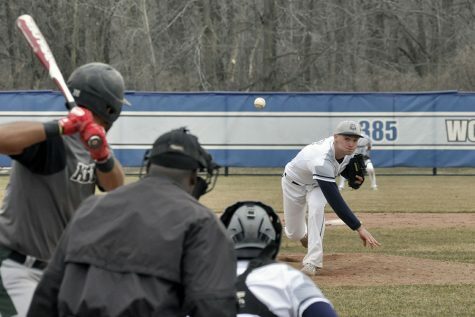 A five-run first inning provided more than enough offense for Madison College in its 7-2 victory over Triton College on April 3 in the first game of a doubleheader at River Grove, Ill.
Doubles by Sam Hurt and Mike Jordahl keyed the big inning for the WolfPack. Jordahl had three hits in the game to lead the team, while Nick Kanavas added two hits. Westin Wuethrich pitched the win, giving up just three hits and two runs in six innings. Jared Horton pitched a scoreless seventh inning to close out the victory. 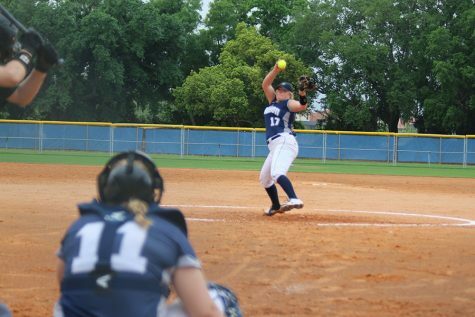 The story was much the same in the second game of the doubleheader, with Madison College striking early and securing a 3-0 victory with strong pitching. Madison College scored twice in the first inning, scoring runs on a walk by Mike Jordahl and a fielder’s choice by Matt Cole. Jordahl drove in the only other run of the game with a single in the fifth inning that scored Luke Yapp. Trevor Tunison had two hits and a double in the game to lead Madison College hitters. Ryne Blanton pitched the win giving up just two hits in seven innings to improve his record to 3-1 on the season. A 14-hit effort lead Madison College to a 13-6 victory over Highland Community College in the first game of a road doubleheader on April 1. Mike Jordahl hit a home run and a double and had three RBIs to lead the team. Travis Hamilton had two doubles, while Courtney Watkins, Tony Butler and Simon Maurice all doubled. Jarod Richter pitched the win giving up three runs on six hits in 5-1/3 innings. He walked three and struck out six. The score of the second game of the doubleheader seemed like a bit of an April Fool’s Day prank – Madison College won 30-0 in five innings after getting an unbelievable 32 hits in the game. Travis Hamilton led the team with five hits, including a double, and scored four runs. Liam Kellogg hit a home run and had three hits and three RBIs. Sam Hurt and Brandon Gibis both had four hits in the game as well. Clayton Uselman pitched the win, giving up just two hits in three innings. Jared Horton pitched the final two innings, giving up just one hit. The first game of a doubleheader against Harper College on March 31 saw Madison College rally with five runs in the last two innings to post a 7-4 victory. Trailing 4-2 in the top of the sixth inning, Madison College scored three times to grab a 5-4 lead. They then added two more runs in the seventh inning, powered by Matt Cole’s double to secure the victory. Cole, Luke Yapp, and Courtney Watkins all had two hits in the game to lead the WolfPack. 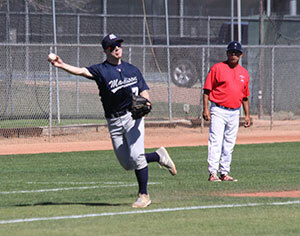 Derek Heffel pitched the win for Madison College, giving up four runs on eight hits in six innings. Ryne Blanton earned a save, pitching a 1-2-3 seventh inning. Madison College dominated the second game of the doubleheader, scoring five runs in the first inning and adding six more in the third for a 13-0 win. Matt Cole homered and Nick Kanavas doubled to key the big first inning. Then Cole doubled and Brandon Gibis homered to keep things going in the third inning. Mike Jordahl added a fourth-inning home run to close out the scoring. Brandon Parr pitched the shutout win, giving up just five hits in five innings with no walks.